News that the London Stock Exchange is rebranding its Turquoise trading facility to ‘Turquoise Plato’ was the first update on the partnership between the two groups since July 2015. Plato chose Turquoise as its preferred dark pool technology provider, following a rather timely, selective process that involved Bats - Chi-X at the time - Nasdaq, and Aquis. The initiative asked market participants to vote on which firm should provide the technology platform for its new dark pool, with Turquoise coming out on top. There were no other announcements or updates from the partnership after news of its decision to work with Turquoise – with many involved keeping tight-lipped about its progress. During that time, The Trade investigated and found that lawyers acting on behalf of Plato had set up a new company in Dublin, just days after the EU referendum in June this year. It was unclear as to whether Plato intended to base its operations in Ireland’s capital, though it seemed very mysterious. Plato have since informed The Trade it will not move to Dublin. 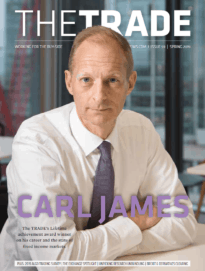 Shortly afterwards - in September this year - Turquoise rebranded its block trading and uncross services to Turquoise Block Discovery and Turquoise Uncross, becoming Turquoise Plato Block Discovery and Turquoise Plato Uncross respectively. Both parties are to promote the service together, as they work towards ‘developing efficiencies’ in the European equities block trading space. Immediately following news of the rebrand - It was announced that Delta Capita is to become a 'managed services partner' providing corporate governance, operations and management. Delta Capita has been heavily involved in Plato Partnership, carrying out advisory and project delivery roles in the early stages of its launch. The firm will also coordinate Plato’s independent research and analytics unit Market Innovator (MI3), as part of the arrangement. Plato’s journey has been quite peculiar, given the vast amount of time when it seemingly disappeared from view, but Turquoise Plato promises to be an exciting initiative for the block trading space. 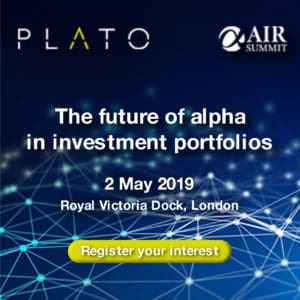 Under Delta’s coordination and the London Stock Exchange’s direction, I think we can expect to see more from Plato Partnership in the near future. So what is Plato Partnership? Plato was formed as an initiative in response to block trading difficulties. Its aim is to reduce costs and offer deep liquidity. It uses revenue generated to commission academic research through its MI3 – to identify better ways of executing trades and lowering costs. Buy- and sell-side firms including the likes of Goldman Sachs, Deutsche Bank, Citi, AXA Investment Managers and Fidelity Worldwide Investment have all confirmed their participation in the partnership. However, industry experts have strongly disagreed over the issue of the partnership’s capabilities. Neil Bond, head trader and partner at Ardevora Asset management, said there would be “no silver bullet” that can help return block trading to levels enjoyed 20 years ago. In some ways, Plato still needs to prove it is a game-changer as was first made out by all involved – but Turquoise Plato has only just been established and time will certainly tell.